THE SIGNED ARTWORK HAS NOW SOLD OUT. 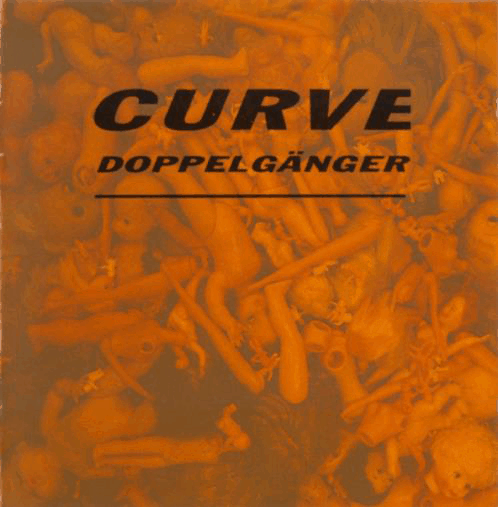 In 1991, Curve arrived on the scene with a series of increasingly successful EPs via Dave Stewart’s Anxious label. A year later they released their debut album, Doppelgänger. A monster and stately record, it was their sonic manifesto. Self-produced with Flood, and mixed by emergent super engineer and unofficial sixth CURVE member Alan Moulder (Ride, U2, My Bloody Valentine, Marilyn Manson, Smashing Pumpkins, Yeah Yeah Yeahs), its ability to sandblast your nerve endings for breakfast is matched only by its tendency to inebriate the listener with its aromatic charm. The album features two singles, ‘Fait Accompli’ and ‘Horror Head’ both of which hit the Top 40 in 1992. Now, this 2CD edition of the album is expanded and packed with the singles and the 3 EPs (all remastered from the original tapes) plus four rare tracks including the Aphex Twin remix of ‘Falling Free’, as compiled by Dean Garcia and Toni Halliday. The deluxe packaging includes brand new sleevenotes by Andrew Collins. "A Curve song is a thing of instantly addictive melodic intensity" Q magazine.